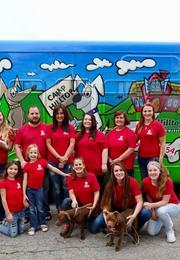 Hilltop Kennels is one of the finest boarding facilities in Cedar Rapids. We are located at 1403 Wilson Ave. SW, just ten minutes north of the Eastern Iowa Airport. The kennel sits on six beautiful acres. Hilltop Kennels was established in 1979 and is privately owned and operated. Hilltop Kennels provides a private indoor/outdoor run for each dog and separate boarding area for cats. Our goal is to provide a safe and comfortable stay for your pet. We also offer playtimes, exercise sessions, and daycare for an extra fee. Our mission is to provide a safe, clean, and enjoyable environment for all animals entrusted to our care. It is our goal to be insightful and sensitive to the special needs of each individual pet in order to make their stay as comfortable as possible. Our greatest pleasure is to know that your pet felt safe and secure while staying at Hilltop Kennels. Hilltop Kennels has been in business for over 35 years. We want to make your pets stay here a memorable one. We know leaving your pet for an extended period of time can be a tough decision. We want you to feel as comfortable as possible and we want to assure you that your pets are being cared for by experienced animal lovers. David and Kelly Hellman took over Hilltop Kennels in December 2014. They have been raising cats and dogs all of their lives and are animal lovers. They also have two children, Ella and Gracie. The reason they went into the kennel business is because it has been a dream of theirs to one day own a kennel. Kelly has done in home daycare for many years so she has a lot of experience caring for your loved ones, whether they are pets or children. She is also a graduate of Kirkwood Community College with a Pet Grooming Diploma and grooms at Hilltop. Hilltop Kennels staff are experienced animal lovers as well. They will treat your pet like they are part of our family. Many members have been watching and caring for dogs for over 20 years. We know that they have the experience to give your pets a wonderful stay here. Your pet will be taken care of by what we believe are the best care takers around, making you and your pet's experience here a wonderful one.